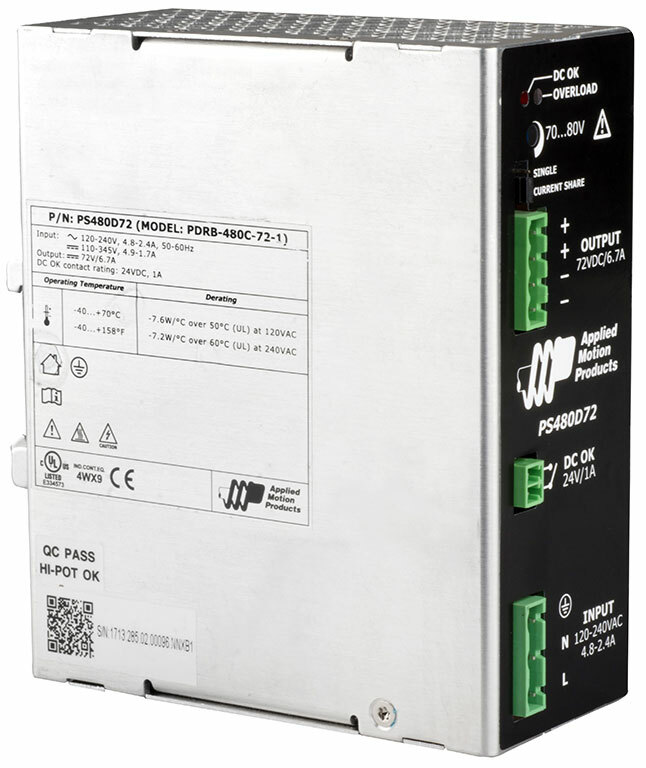 The PS480D72 switching power supply is a DIN rail mounted power supply in a fanless enclosure. 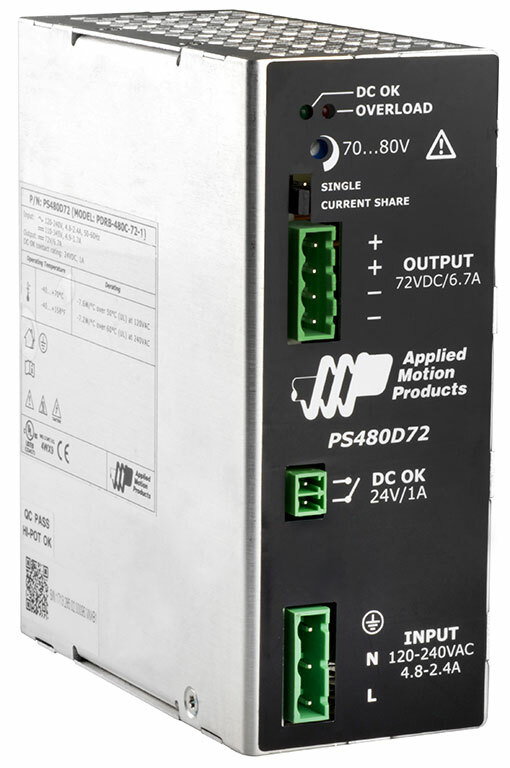 It is an excellent choice for use with Applied Motion stepper drives and integrated motors. The PS480D72 is UL Recognized (File No. 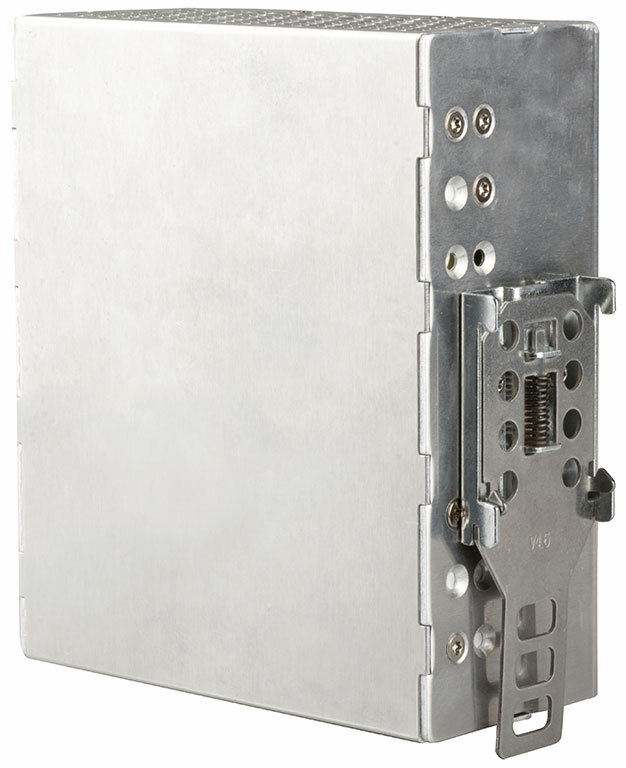 E334573), CE approved, and RoHS compliant.